What do you buy the Bond villain who has everything? We are always in compliance with Section 13 from part 40 of the NRC Nuclear Regulatory Commission rules and regulations. 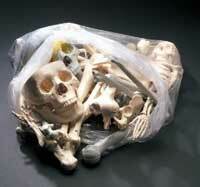 For when a *small* bag of bones just won’t do. Life-size skull, humerus, hand (on wire), hip bone and sacrum (tail bone). Also contains a foot, lower jaw, clavicle, ribs, vertebrae, arm and leg bones in various sizes from life-size to mini. 4th quality bones may be imperfect, discolored, unfinished, or have missing hardware. Ninjas: notoriously hard to buy for at Christmas. 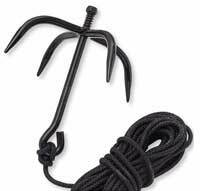 Specially designed grappling hook folds down for compact and easy carrying. With a few twists the 4 carbon steel talons can be locked into position assuring a safe assent. Best yet, it is rated to over 800 pounds and comes with 33 ft. of tough braided nylon rope. Great for photographers, gardeners, hunters and wildlife enthusiasts. As with any real estate, this soil sample is all about location, location, location. 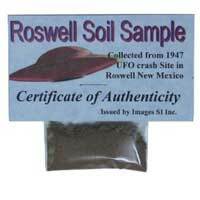 Red colored soil sample collected from the 1947 famous UFO crash site in Roswell New Mexico. Small plastic bag containing soil sample attached to a Certificate of Authenticity. Richard, that’s hilarious. Nice finds. How do they collect litres of wolf pee anyways?? Peletted lion urine has been on sale in my local garden centre for some time. The idea is that it should scare off local cats as they think some big mother has marked out the territory. Maybe the wolf pee is supposed to work in a similar way. 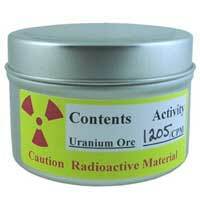 I tried to buy some uranium ore. Amazon said no (UK shipping). It turns out that the supplier has no issue with shipping to the UK but Amazon disagrees and seems unwilling to update its information. The irony is that prior to the rejection of my order, I had no idea of the refinement process for uranium ore. It was Amazon’s rejection of my order that prompted me to research the subject in order to determine whether the supposed threat was realistic. Our garden center in North Carolina sells a concoction of (we think) cougar urine and pepper oils that we have found effective for stopping deer from eating our flowers and vegetables. With eradication of natural predators, the local deer populations are exceeding the food supply in undeveloped areas and the deer are foraging in neighboring suburban yards. 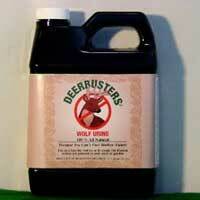 I have a bottle of Panther Pee to ward off deer from filling themselves to bust on my garden. wonderful stuf. But I understand it is really wold urine, collected in zoos through washing down the enclosures and then reconcentrating it to eliminate the water. Just for those who were wondering!! !